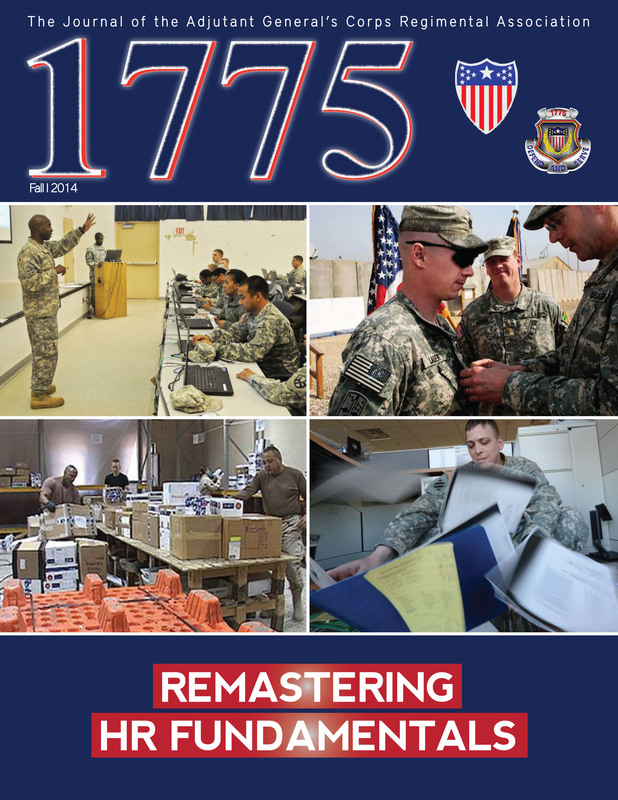 This edition of 1775 is dedicated to “Remastering HR Fundamentals.” After a decade plus of continuous combat deployments to Iraq and Afghanistan, our Army is transitioning from fewer deployments to a Trained and Ready Army. Additionally, the Army has begun to execute a significant drawdown of Soldiers and units, which requires increased focus on taking care of transitioning Soldiers while keeping our best and brightest in our ranks. Hence, for Army HR professionals records accuracy, HR metrics and direct support to Commanders, Soldiers and their Families now impact promotion / selection boards and Army personnel readiness more than ever. The AG Corps must lead this shift in focus for the force as we move toward Army 2020 by remastering the HR skill sets we were employing before becoming fully engaged with combat operations in Iraq and Afghanistan. Critical to our efforts in transitioning to a Trained and Ready Army is the shift from Brigade-centric operations to Corps and Division Commanders executing Training Readiness Authority (TRA). Corps and Division G1s lead the TRA HR effort for their respective Commanders and therefore have become the HR center of gravity again. Our Corps and Division G1s lead the way in article submissions for this 1775 edition to provide insights on how to remaster HR fundamentals. We hope you enjoy this edition of 1775 and welcome your feedback as we collectively move towards Army 2020.